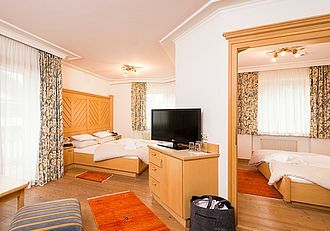 Make yourself at home! 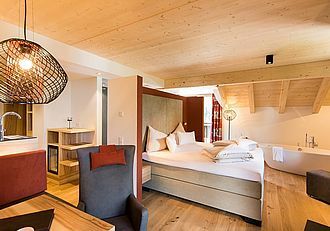 Our 4-star wellness hotel in the province of Salzburg offers 45 modern rooms, junior suites, family apartments and suites with open fireplace and private sauna between 25 and 63m². 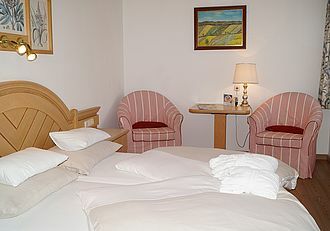 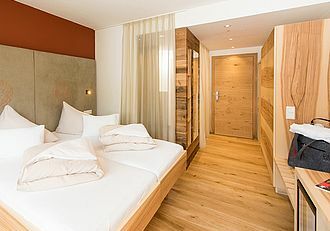 All rooms are bright with lots of natural materials, equipped with all amenities and real parquet flooring. 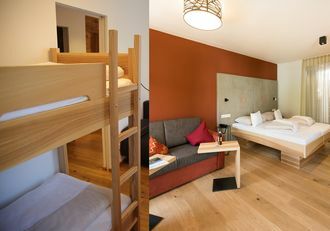 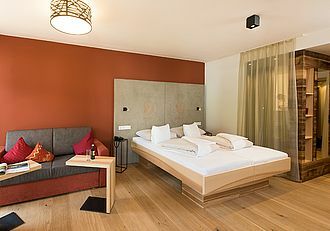 Solid regional wood and local fabrics give the new "Superior Rooms" a very special touch.